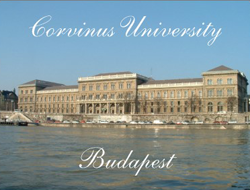 Located in Budapest, Corvinus University of Budapest evolved from the Faculty of Economics of the Royal Hungarian University which was established in 1857. The school is characterized by its programs in economics and management. Some of the university’s buildings have become UNESCO historical heritage sites. Based in its fine tradition, the university has been continuously striving to becoming a world-class professional business school. In addition to Hungarian, many subjects are taught in German and English attracting outstanding professors and students from around the world. It was also ranked 44th in Financial Times Masters in Management in 2009.